If you are frustrated with where your career is heading and you are looking for some career advancement solutions then you may have to spend some time looking at yourself. No one doubts how hard you work and how good you are at your job. 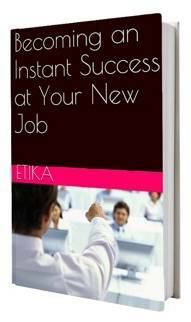 However, you may be sabotaging your own career advancement by behaving in a negative way. This doesn’t mean you are not doing your job properly. But, you may be doing small things which make your boss see you in a less than perfect light. 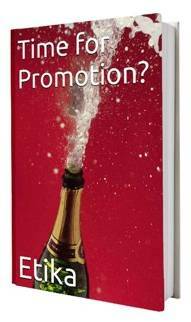 When it comes to promotions, your boss is the number one person you have to impress. They aren’t going to recommend or support your career if they think you are too much trouble or a poor fit for the company. When searching for career advancement solutions it is important that you become honest with yourself, take a good look at how you react to negative situations in the workplace, and make changes for the better. 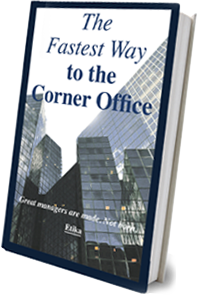 If you are first to the water cooler with a whole lot of gossip or complaints this is going to get back to your boss. They are not going to appreciate you if you are the one spreading rumors or undermining the company, even in small ways. If you offend or upset your co-workers, how can your boss put you into a higher position of responsibility and trust? Leaders, true leaders, are able to work with all kinds of people and get the best out of them. They don’t listen to or spread unkind and embarrassing comments. Instead, they squash them and support everyone on the team. Being able to work without someone helping you or holding your hand is imperative if you want to take on a more senior role. What your boss wants to see is you showing initiative. If you see that something needs to be done, do it. If you notice that some important factor has been left out, then fix it. You need to be responsible for all aspects of your job, and to a degree, others in your team. It is important that you keep in mind that it is the success of the project, and the company that is most important; focus on that; and build yourself as the go-to, trustworthy member of a well-trained team. If you complain, storm off, argue back and simply get “huffy” when you are criticized then you will come off as someone who is argumentative, and even childish. No one likes to be criticized. We all want to believe that we are doing our best at all times. However, we are all human and we all make mistakes. If you are criticized make sure you nod and thank the person talking to you. Repeat back what they have said and explain you are looking for clarification to ensure it doesn’t happen again. Reinforce the fact that you want to learn and be the best you can be for the team and the company. Your boss may be holding you back from a career advancement, but in truth, it might be your fault. Don’t worry though, there will be many opportunities arising in the future that may propel you up to a senior position. All you have to do is ensure you are prepared and ready by being responsible, trustworthy and competent – the person your boss will be proud to help promote.